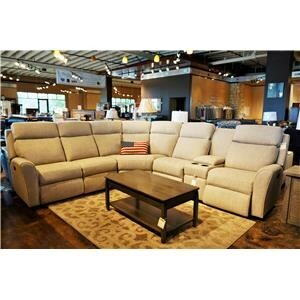 Recline from either arm seat and enjoy your time at home in this motorized reclining sofa. 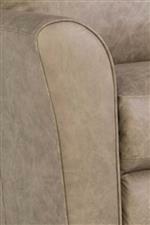 Flared arms and bustle back seats convey a casual look that is perfect for any home. Adjust the headrest to get the right amount of neck support and get into the ideal position with the power reclining feature of this sofa. 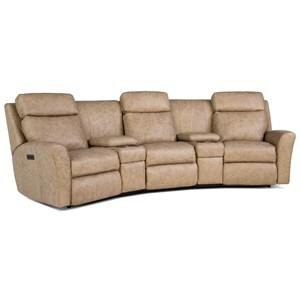 The 418 Motorized Reclining Sofa with Flared Arms by Smith Brothers at Sprintz Furniture in the Nashville, Franklin, and Greater Tennessee area. Product availability may vary. Contact us for the most current availability on this product. 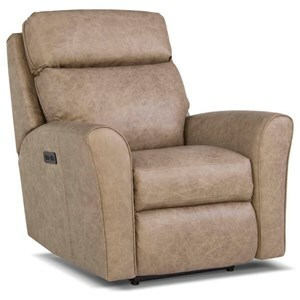 418-84 Motorized Reclining LAF Chair 1 32" 40" 43"
418-36 Armless Chair 1 24" 40" 43"
418-85 Motorized Reclining RAF Chair 1 32" 40" 43"